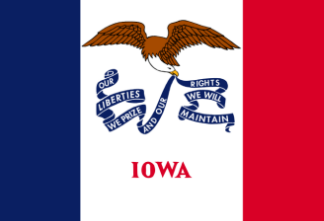 Iowa vital records may be obtained from the state Bureau of Vital Records by telephone, in-person, through by mail, or online. (See http://www.idph.state.ia.us/apl/vital_records_info.asp#online for more information about the bureau.) Iowa birth records and Iowa death records issued since July 1, 1880, are available, for a fee and with proper photo identification, from the Bureau of Vital Records. Local vital records registrars are located in county recorders' offices, where records of births and deaths that have occurred in that county are maintained. Birth and death records are available to the person named on the record or that person's spouse, children, legal parents, grandparents, grandchildren, siblings, or legal representative or guardian. Legal guardians, legal representatives, and siblings must provide additional proof of entitlement. Fees are payable by check or money order made out to the Iowa Department of Public Health or online (see http://www.vitalchek.com/). In-person requests may be paid in cash. Note: All vital records are open for inspection at the county level, usually for a $15.00 fee. Record Access Requirements: Adoption records are not released. Search Note: Must have copy of a photo ID (mail) or a photo ID (in person) to search. The requester's signature must be notarized. A request form is available from the web. Note: Must have copy of a photo ID (mail) or a photo ID (in person) to search. The requester's signature must be notarized. A request form is available from the web. Note: There is a second facility that maintains records: State Historical Library, 402 Iowa Ave, Iowa City, IA, 52240.